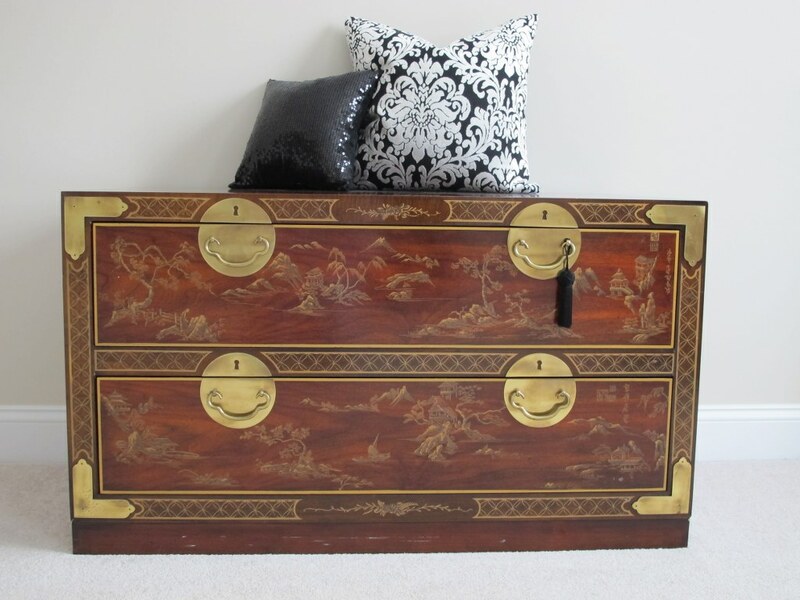 I have this amazing Asian inspired chest from my husband’s grandmother. I enjoy inheriting pieces and mixing it with new ones. By itself the chest is beautiful but I wanted to add a few details to perfect the nook. What better way than to accent the chest with some pillows! I love pillows. I think pillows create a warm look. I’ll find any excuse to find a place to put them. When I decorate I like using different textures and sizes because it looks more interesting. And right now I’m really loving neutral colors. 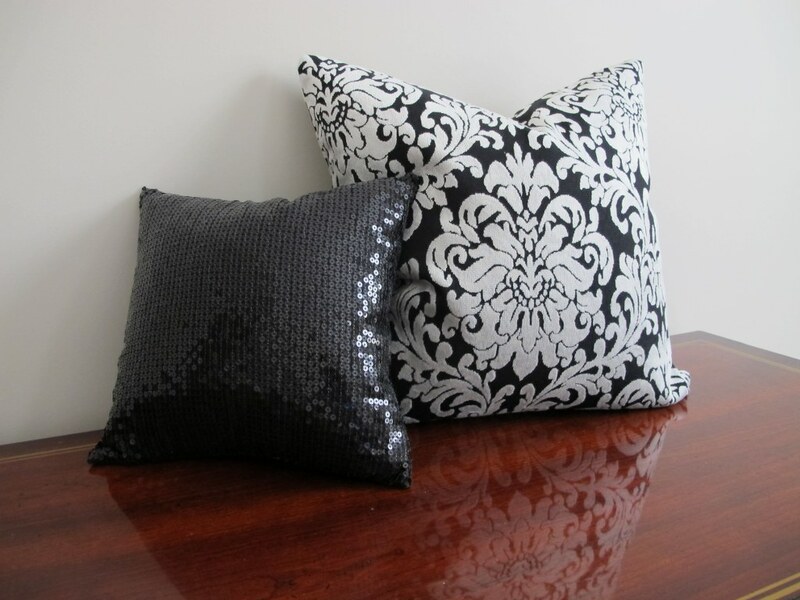 So I’ve used one medium sized black and cream patterned pillow with one smaller black sequin pillow. 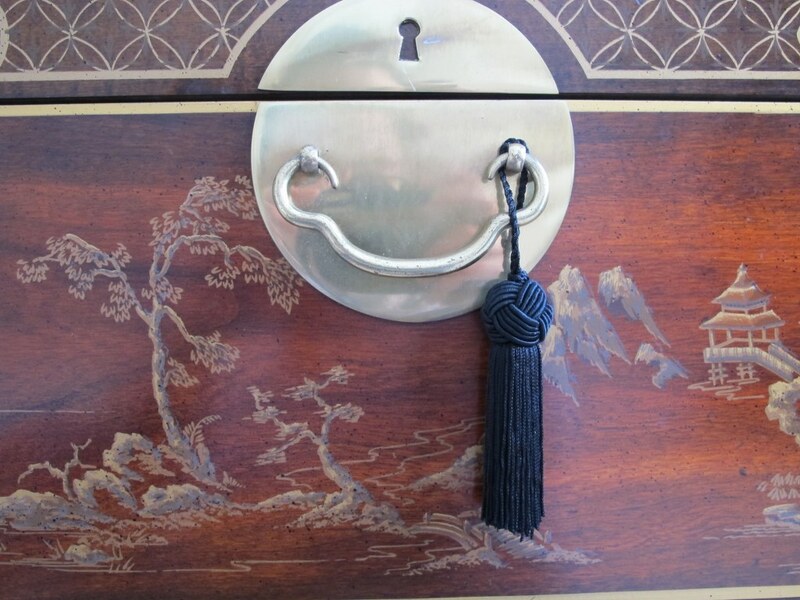 I also added a black tassel to the handle on the drawer. I like how the tassel draws your attention to the ornate gold scenery on the chest. You will love this look because it is super easy to put together. Now where else can I find a place to add a few pillows? !